(3) Direction For Use :- Gently massage over affected part OR as directed by physician. (4) Benefits :- Useful in skin infestation viz. ringwarm(Tinea cruries, Tinea capitis, Tinea barbae), scabies & alopecia, eczema, idiopathic age related itching. 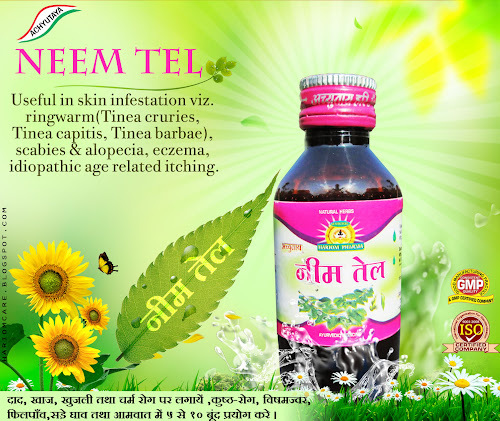 (5) Main Ingredientns :- Azadirachta Indica (Neem tel).